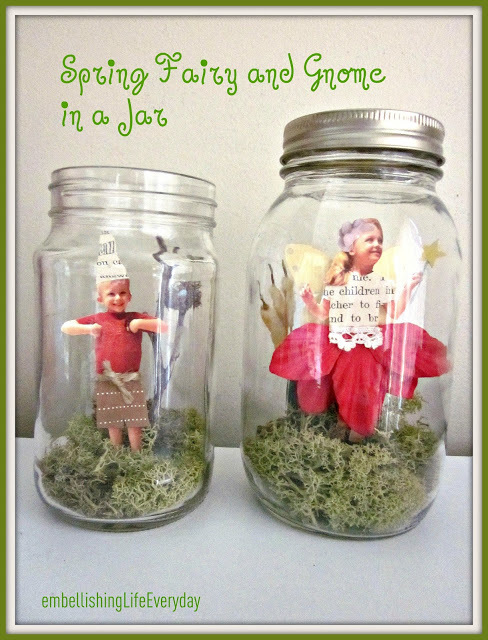 So all of this cold weather has me wishing for spring so I thought I would feature some spring jar crafts this week. First up are these fun spring fairy and gnome jars. Yep. You can take pictures of your kids and turn them into a fun jar craft. This would be super fun to do while you are snowed in or it is too cold to go out and play. Click here to get the full instructions from Embellishing Life Everyday. Be sure to click over to the original post before pinning this image.